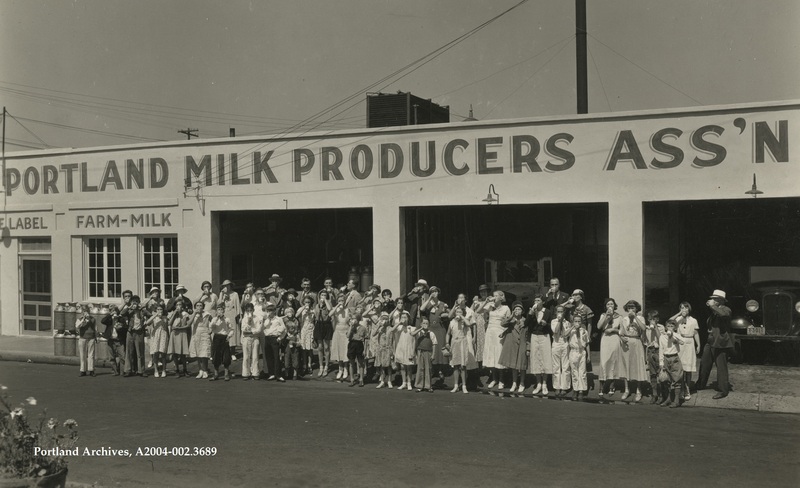 Children and employees standing outside the Portland Milk Producers Association, 1934. City of Portland (OR) Archives, A2004-002.3689. 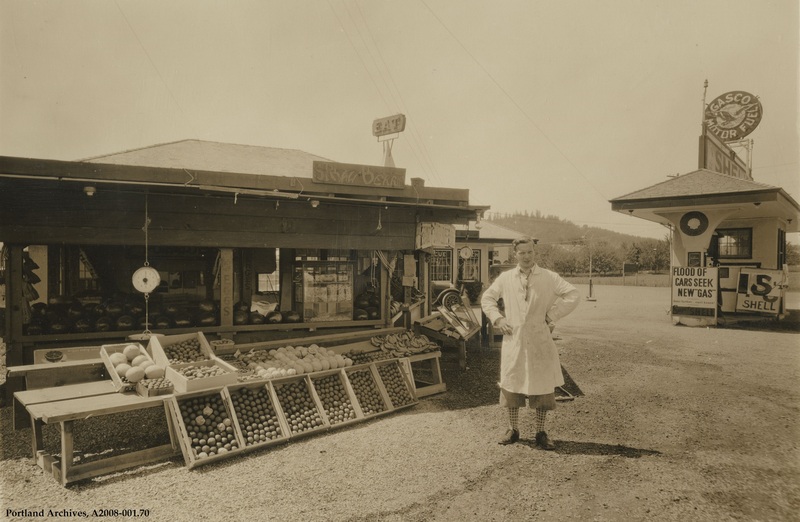 The well-stocked display of the Independent Fruit & Produce Co. belies the depression-era economy circa 1932. Was this business, at what is now 705 SE MLK, the precursor to the famous Corno’s, a Portland landmark for years? 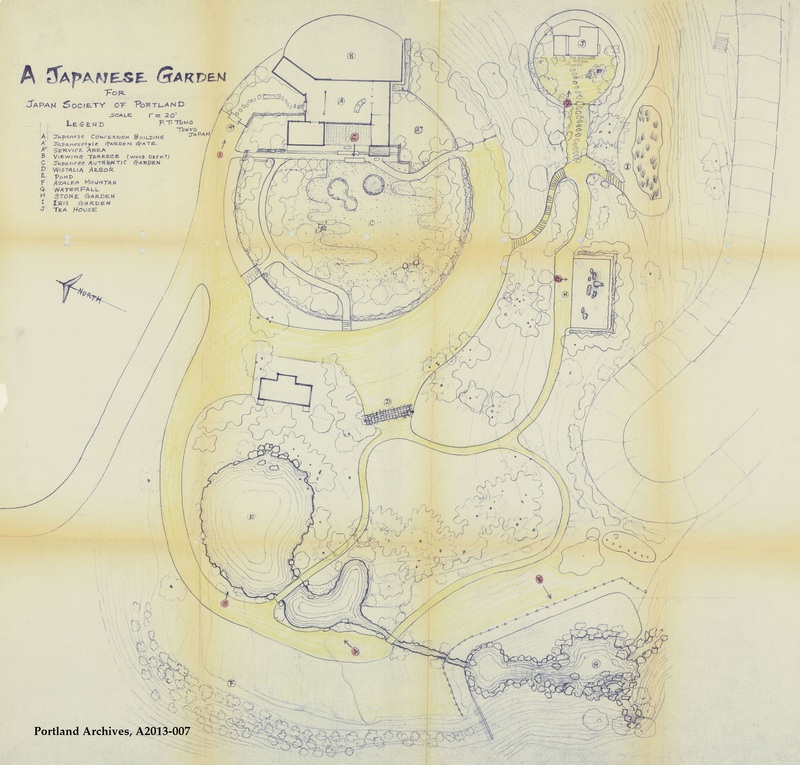 A proposed general site plan for the Japanese Garden, circa 1962. The plan was produced by Japanese landscape architect P. T. Tono. 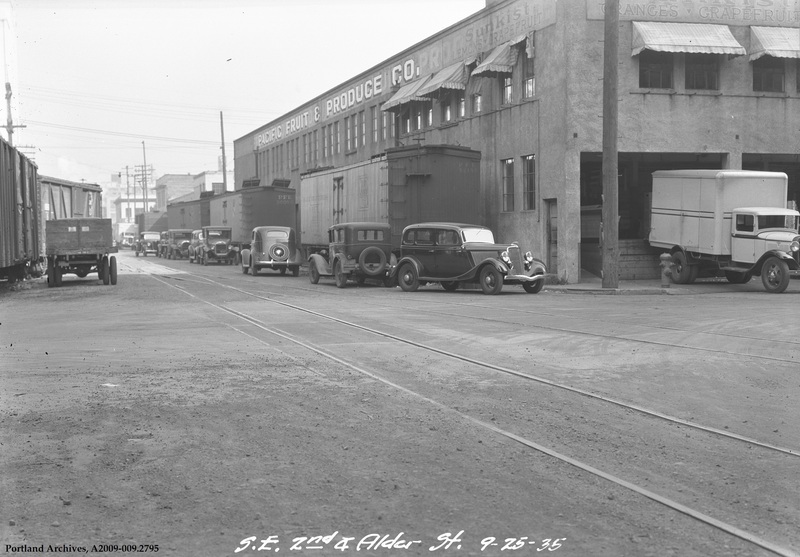 The Pacific Fruit and Produce Co. building located at SE 2nd Avenue and SE Alder Street, September 25, 1935. 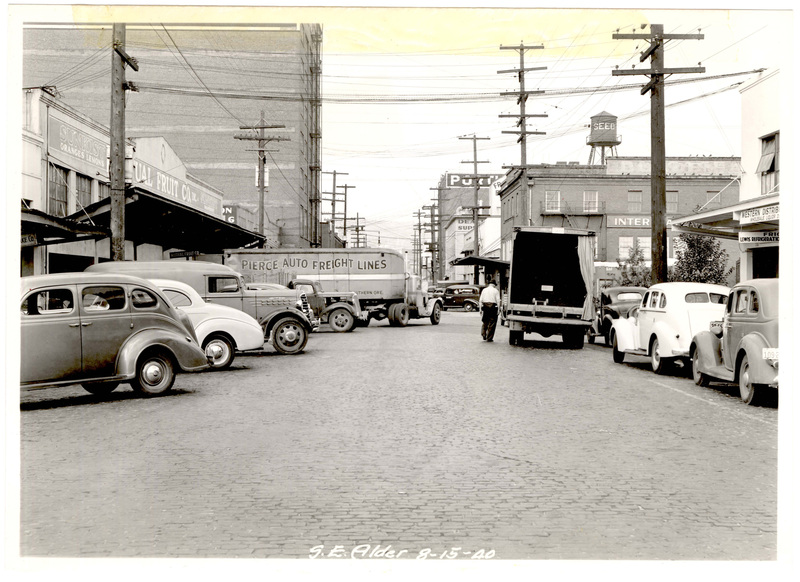 This image is looking north on SE 2nd Avenue. 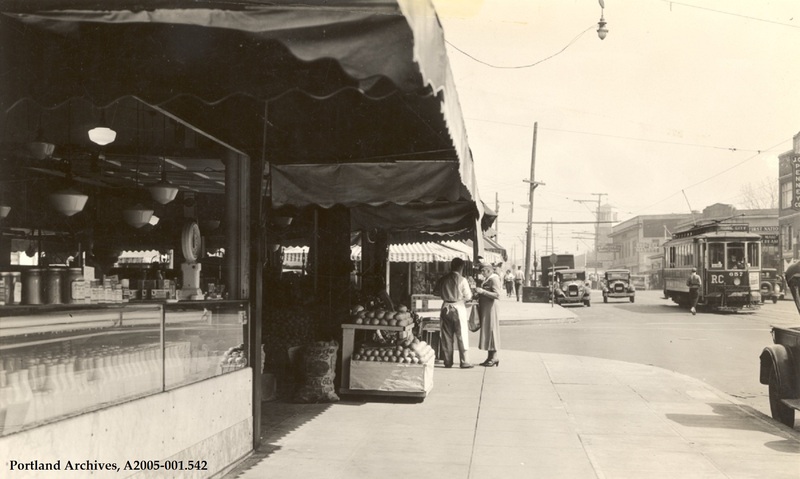 An open produce market at NE Sandy Boulevard and NE 41st Avenue looking east, 1934. 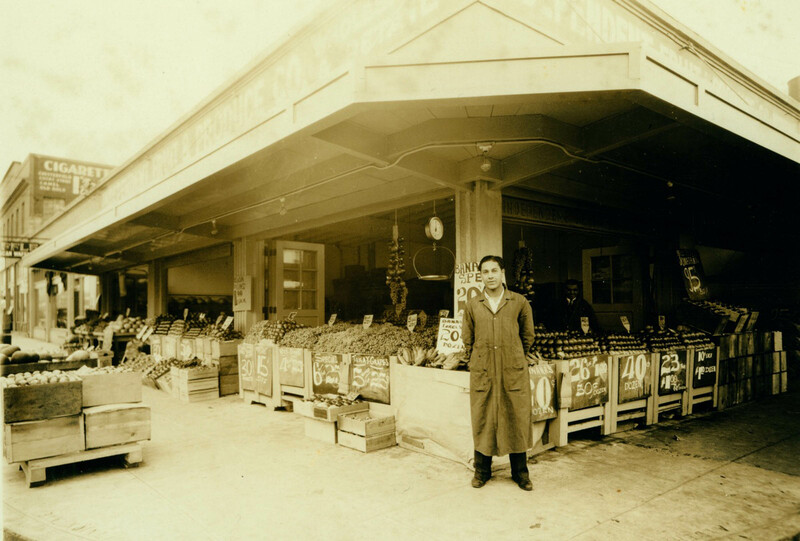 Produce stand at SE Divison Street near SE 82nd Avenue, circa 1930.